Tilesets help to create the look and feel of a level. I'll show you how to switch tilesets, use different material sets, and how to create smooth transitions between tiles that use different textures. If you want more information on how tilesets work or if you want to see about making your own tileset, this page on Valve's site is a great place to begin. Within each tileset are various material sets, which are basically different variations on the ground textures. Switch back to the radiant_basic tileset if you're not already using it, and also make sure it's set as the Current Tile Set within the Tile Editor tool. 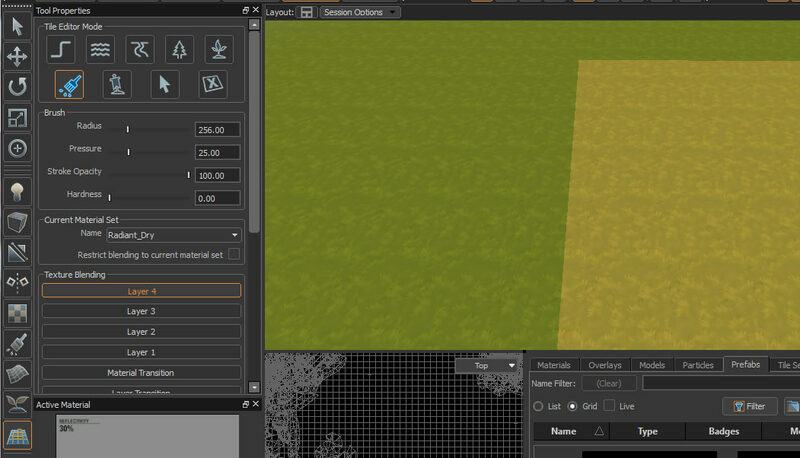 Then go to Paint Blends mode (O) and select Radiant_Dry as the Current Material Set. Hold down the C key, and left click to paint the Radiant_Dry material set onto the map. Now I'll go over how transitions between tilesets work, so make sure dire_basic is set as one of the tile set files. 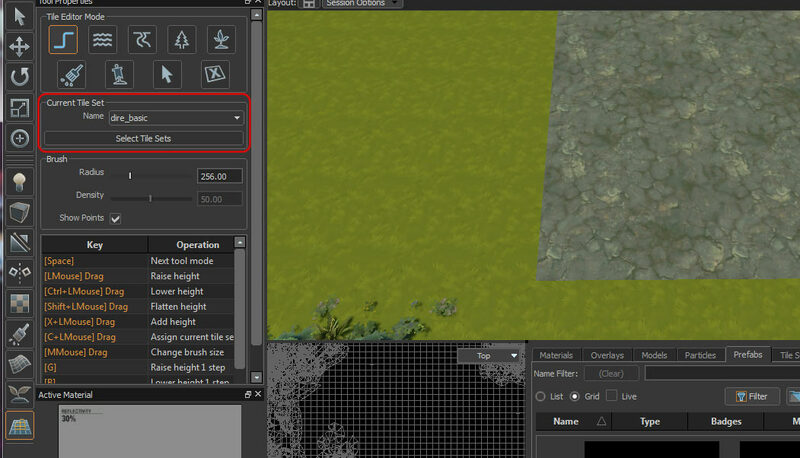 Select the Tile Editor tool (Shift-C) and use the Paint Terrain mode (Q). In the tool properties, set the Current Tile Set as dire_basic, then hold down the C key and left click to paint the dire tileset over a small portion of the map. It's important to understand that transitions are done through special material sets that are painted between different tilesets or material sets. Transition material sets don't support all the same layers that a regular material set does, and they only blend between Layers 1 & 3. Switch to Paint Blends mode (O) and select "Radiant to Dire Transition" as the Current Material Set. Note that the material sets you have available here depend upon which tileset is selected as the Current Tile Set, and you can check which tileset you have selected by changing to one of the other Tile Editor modes. Also understand that new material sets will only be painted on tiles that are already using the Current Tile Set, which in this case should be dire_basic. 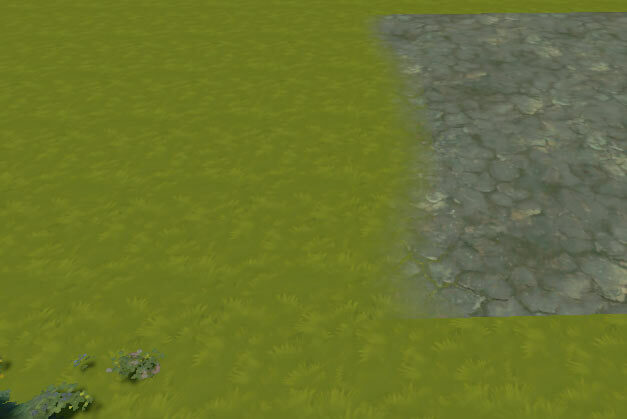 So just like before with Radiant_Dry, hold down the C key and left click to paint the transition material set over the dire tiles. I'm going to change all the ones on the left side. While it looks like I just changed the tiles back to the radiant_basic tileset, that's not actually the case. What I did was change the tiles to a special material set within dire_basic that uses to same texture. Lastly, for the actual blending, select Material Transition within Texture Blending, and paint it along the edge. It can take a little practice to get right, but you should be able to make a nice smooth transition between the two tilesets. It's the same method for doing transitions between material sets too. 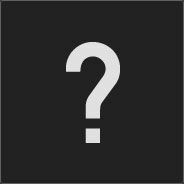 For a transition between Radiant_Dry material set and the radiant_basic default, you'll use the "Radiant Dry to Default" material set. You can also skip using a transition material set altogether, and use either Layer 1 or 2 for the transition because those material sets use identical textures. Another trick for smoother transitions is to use overlays, and you can learn how to make your own in a later tutorial.